Previously on the last 2 articles we took a look at some the features within Red Giant Shooter Suite. If you have missed those articles, I highly recommend going back and taking a look at Part 1 and Part 2 before proceeding with Part 3. Frames provides you with the ability to take interlaced video, and apply Red Giant Frames’ sophisticated algorithms. The resulting effects gives you smooth, deinterlaced look of 24p film that is artifact-free. Frames provides you with a choice between field-blended and motion-adaptive approaches to frame interpolation. Frames also has a few other helpful features like letterboxing and broadcast-safe color check. 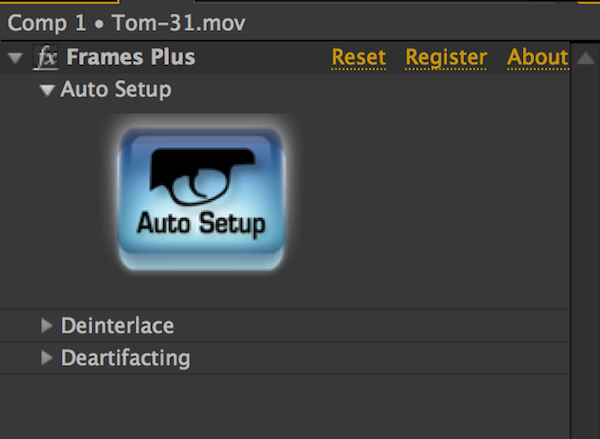 Frames is compatible with with both Adobe Premier Pro and After Effects CS5, CS6 and CC. The user interface for Frames is simple and easy to understand. Frames provides you with the ability to adjust the Input Field Order, which is useful when working with either DV or HDV footage. It also has the ability to choose from 2 types of frame interpolation, either blended or motion-adaptive, will work depending on you shot type. Blended seems to work better for locked off shots such as interviews, where as motion-adaptive works better on tracking shots or high movement shots such as marching band. Filmmakers always have different aspect ratios they prefer. Frames provides you with a tool to achieve your desired look. 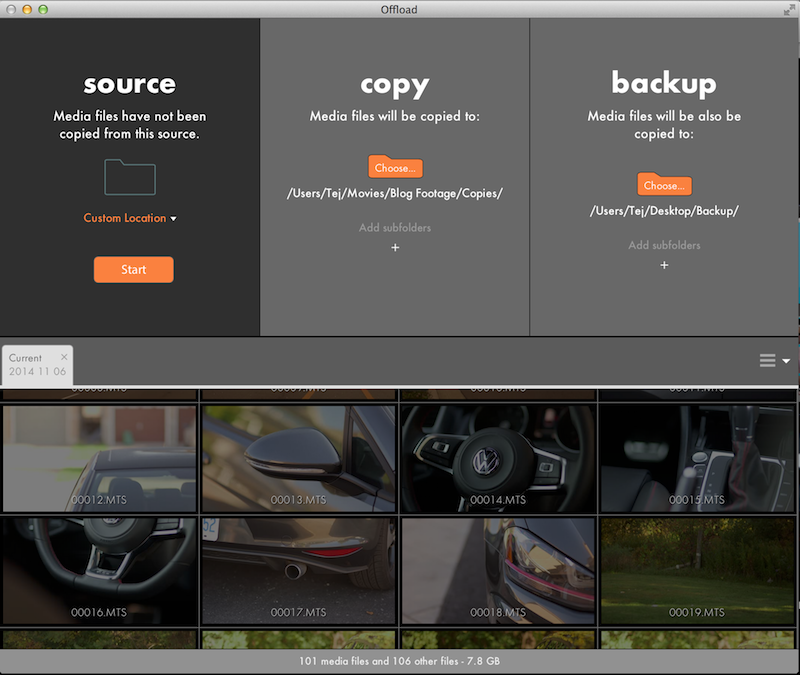 Frames will crop your footage from a drop down menu of presets. These presets include Super 16, WideScreen, Theatrical , Compromise , Anamorphic and Ultra. There is defiantly no shortage of aspect ratios here. Frames also has a ace up its sleeve. There is another plugin labeled Frames Plus. Applying this plugin to your composition in After Effects makes it much easier to deinterlace your footage with one simple click. Frames Plus has a large button labeled Auto Setup. If you click this button and Frames will automatically detect wither your footage is NTSC or PAL , 1080/60i or 1080/50i. It will then automatically elect the corresponding fields order for interpolation. Just remember to make sure your composition is set to the frame rate you desire. In this case, mine was set to 23.976. Frames will provide you with a pop up window letting you know auto set up was successful and the changes that will be applied to your footage. 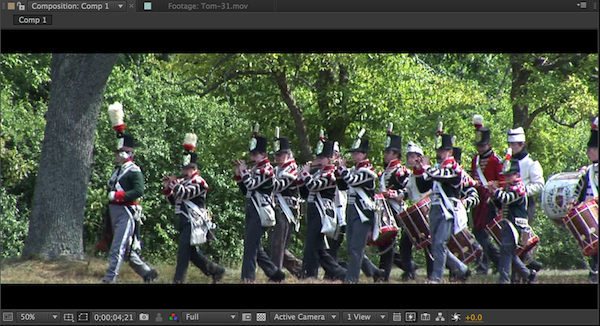 Frames is absolutely outstanding for anyone having to still work with interlaced footage. It works with various formats from DV and HDV, to broadcast standards like HDCAM. It has become very useful as I still work with a ton of HDCAM footage off tape, and frames solves the complications of deinterlacing and frame conversion. Frames is a welcomed addition to the Red Giant shooter Suite, and perfect for use on many current projects. The final piece of Red Giant Shooter Suite is LUT Buddy, whack was designed to help colourists and it came directly out of the film work of Stu Maschwitz. LUT Buddy allows you to export a 1D or 3D LUT to easily communicate color with compliant software and devices ranging from DaVinci Resolve to Panasonic displays. LUT Buddy is compatible with Adobe After Effects, Adobe Primer Pro, Final Cut Pro 7 , and Apple Motion. LUT buddy is designed to take the values you create for color correction and export them to your other compliant software. Once you have applied your color correction on the shot and you are happy with it, you can then go ahead and apply LUT Buddy. 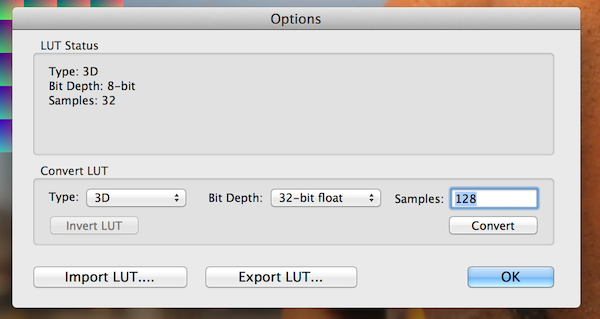 LUT Buddy’s Pattern allows you to select from presets for 1D and 3D. They include variables from 1D 64 to 3D 64. 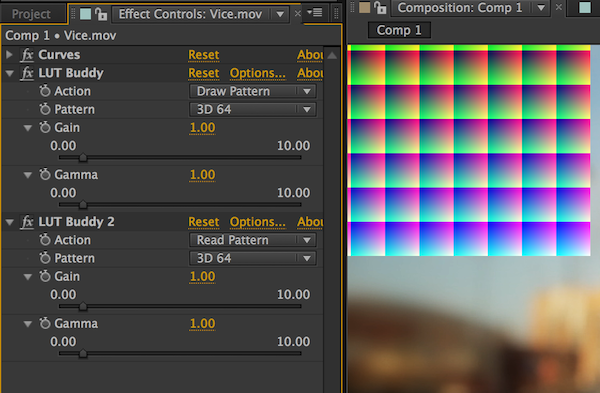 Just make sure that you have applied LUT buddy twice and they are set to same values. One should be set for Draw Pattern, while the other should be set to Read Pattern. This is crucial to make sure LUT Buddy is reading the correct values for your footage. Once you have completed everything and are ready to go back to your NLE. LUT Buddy can now export your LUT . There are various options from the type of LUT to Bit Depth. 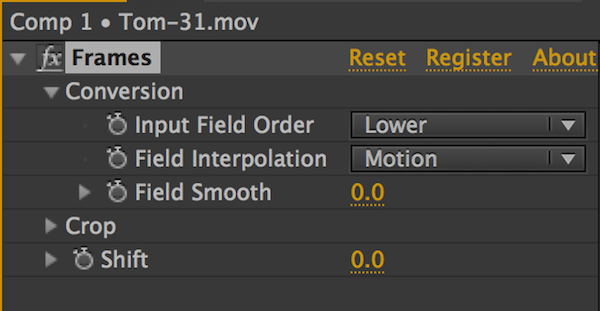 I usually leave to same as my comps ion with After Effects, thereby reducing the chance of confusion. After you have exported you LUT, you can easily import and it your footage in either Adobe Premier Pro or Finale Cut Pro 7. LUT Buddy is the last but certainly not the least valuable plugin as part of the Red Giant Shooter suite. LUT Buddy is incredibly easy to work with and can help you to create all kinds of looks and color corrections for your footage. LUT Buddy is simply an essential tool for anyone color correcting or require the ability to work with LUTs. Ref Giant has recently updated the Shooter Suite to include Offload. 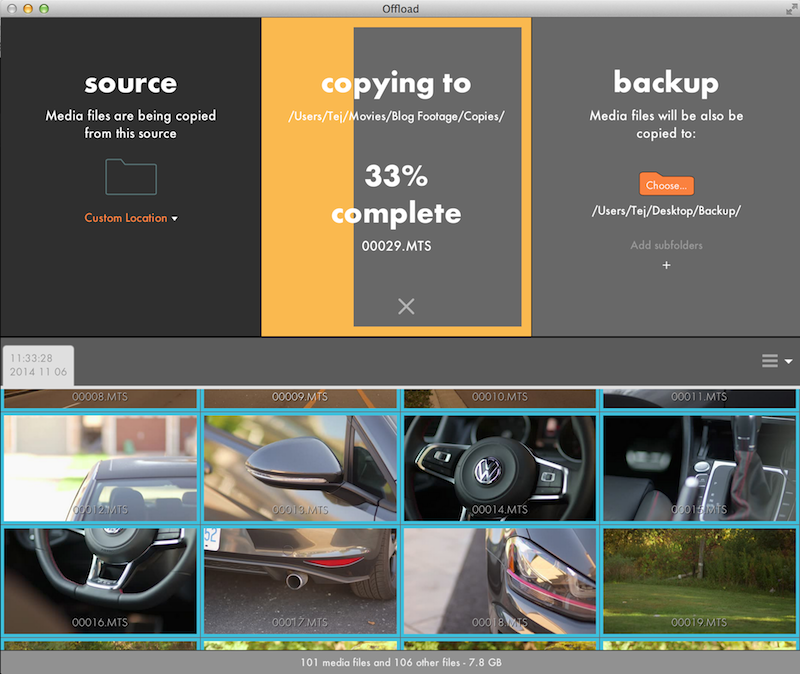 This all in one tool allows you to back up and copy all your media in one simple application. Offload supports almost any camera codec. It’s simple user interface requires no training. Simply select the files you wanted copied. Then select the locations where you want them to be copied to and backed up to. It’s as simple as that. As the files are copied and backed up they are checked off with a nice little animation, along with the progress bar to show had far along the process you are. 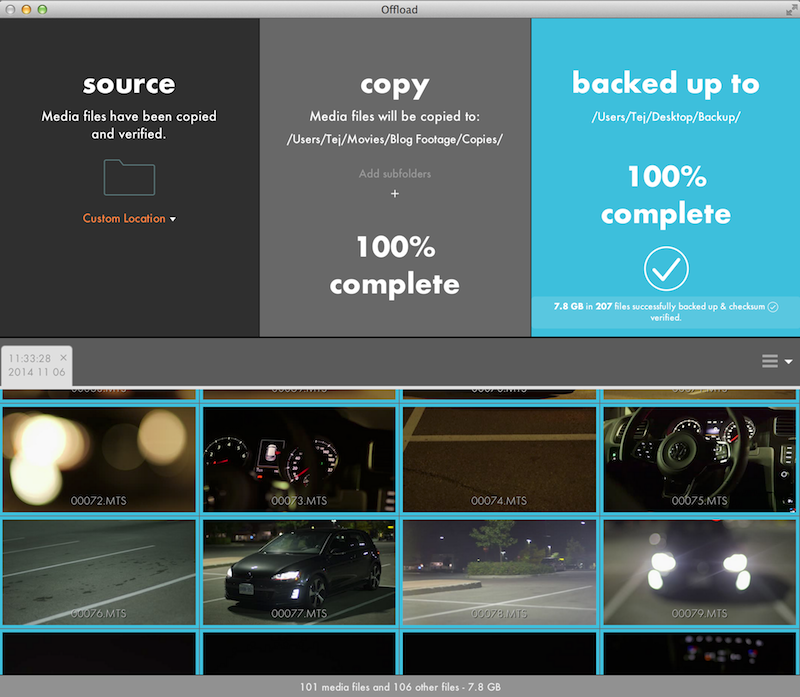 Once completed Offload will let you know that 100% of media has been transferred and backed up. Red Giant’s Offload is the most simple and yet most useful application for DMT’s and DP’s alike. I love the simple user interface and the incredibly fast speed at completing the back up process. 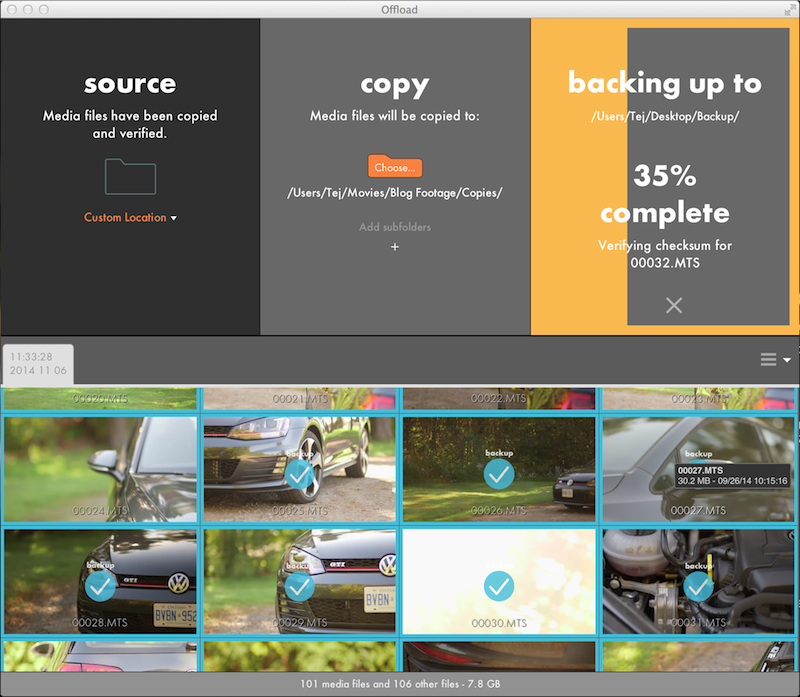 Offload is perfect for saving all your media and backing them up before disaster happens. This is a wonderful gem inside the Red Giant Shooter Suite. We have come to the end of this 3 part series on Red Giant Shooter Suite. The entire package has been created by the ingenious folks and Red Giant. The Shooter Suite is simply an all one application suite that packs a powerful punch. Any filmmaker would benefit from working with the Red Giant Shooter Suite from industry professional to the independent filmmaker. Red Giant has provided you here with a powerful and essential set of tools. Simply a wonderful suite of tools ! Excellent Job Red Giant!! !